In this paper, we present the development of a tour–guide robot that conducts a poster session through spoken Spanish. The robot is able to navigate around its environment, visually identify informational posters, and explain sections of the posters that users request via pointing gestures. We specify the task by means of dialogue models. A dialogue model defines conversational situations, expectations and robot actions. Dialogue models are integrated into a novel cognitive architecture that allow us to coordinate both human–robot interaction and robot capabilities in a flexible and simple manner. Our robot also incorporates a confidence score on visual outcomes, the history of the conversation and error prevention strategies. 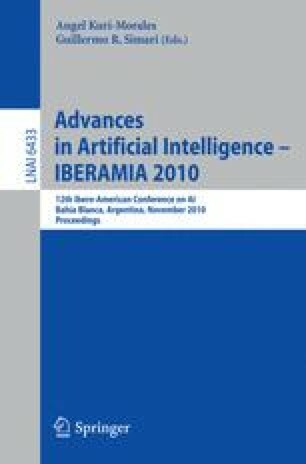 Our initial evaluation of the dialogue structure shows the reliability of the overall approach, and the suitability of our dialogue model and architecture to represent complex human–robot interactions, with promising results.